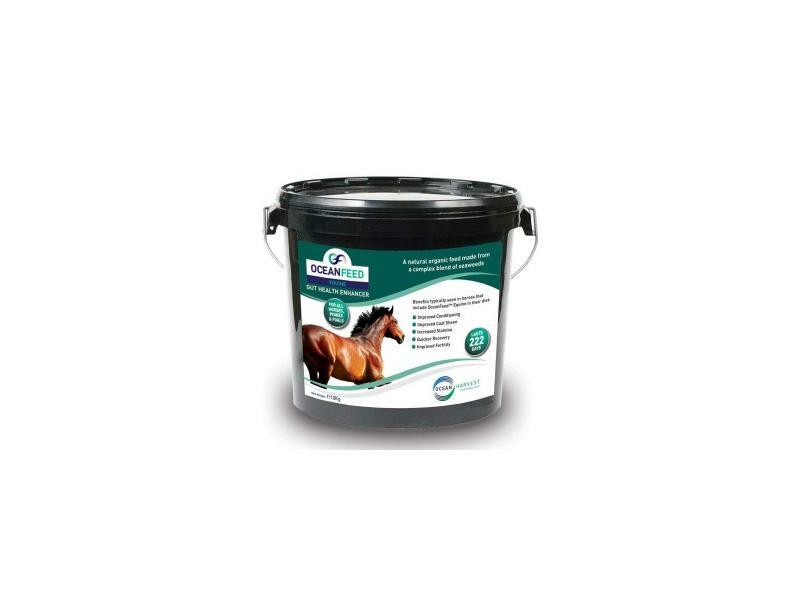 OceanFeed™ Equine is a totally natural and organic feed ingredient comprising of a formulated blend of specific seaweeds. The complex blend used in OceanFeed™ Equine is sustainably harvested from the oceans of the world. Allows for maximum utilisation of feed intake. Helps promote and maintain a healthy digestive system. Provides a food source for naturally occurring gut flora. Assists in the prevention of ulcers. Aids in competitive exclusion of pathogenic bacteria. Helps prevent the retention of the placenta in brood mares. There are currently no questions for Ocean Feed Supplement for Horses - be the first to ask one!